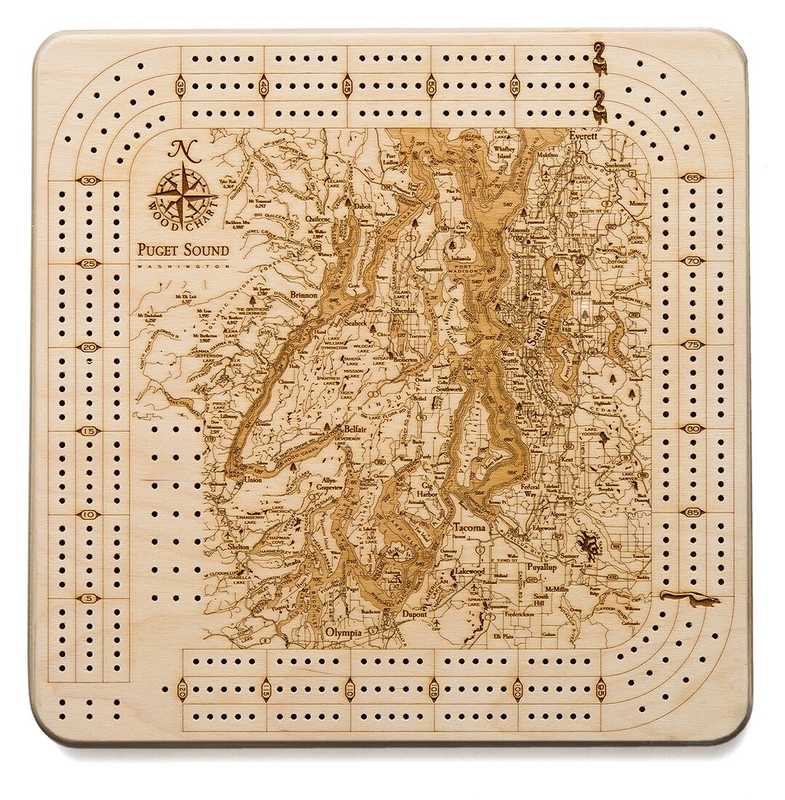 The Woodchart Puget Sound Bay 3 player cribbage board is laser-etched with a topographic representation of the Boston Harbor, including area roads and water details. Board comes complete with pegs, which are stored in a compartment on the back side of the board. 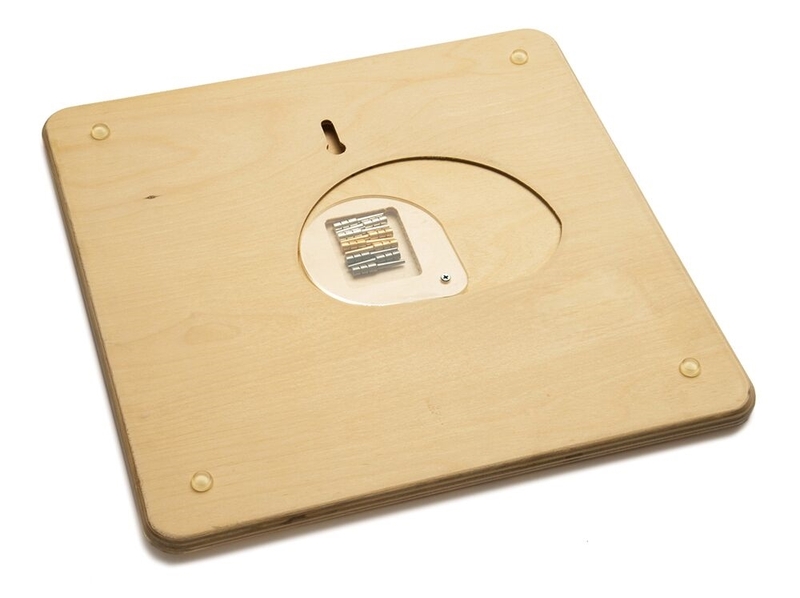 There is a wall mount so you can display when not in use. Board measures 14" L X 14" W X 3/4" H.